Cape Town - Nine tries and 110 points from six matches. That is the Stormers' return in the 2019 edition of Super Rugby so far. No other side in the competition has crossed the whitewash less - the Bulls are second-worst on 12 tries - and no other side has scored less points. Those are numbers that point quite clearly to the Stormers being the worst attacking side in the opening seven rounds of Super Rugby. It is, of course, early days and there is a lot of rugby to be played. When the Stormers complete their ongoing Australasian tour, they would have played just two of their eight fixtures at Newlands. Being away from home for the majority of the early stages of the tournament obviously hasn't helped those numbers, but there can be no hiding from the fact that the Stormers would have expected much more of a return by now. With a pack as dominant as they come and boasting the likes of Eben Etzebeth, Siya Kolisi and Pieter-Steph du Toit, the Stormers should have the perfect platform to launch from. There have been errors at crucial times, though, and a combination of poor handling and a lack of execution has seen them butcher numerous opportunities. That much was evident in this past weekend's clash against the Blues at Eden Park where the visitors went tryless despite dominating for large periods. The man tasked with unlocking the defence from flyhalf has been Jean-Luc du Plessis. Having endured a torrid two years of relentless injury troubles, the left-footed playmaker has been backed by coach Robbie Fleck in a big way in 2019. 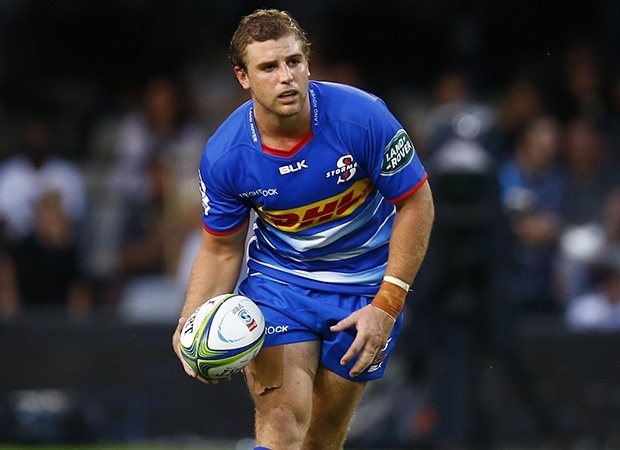 Du Plessis has looked to kick the Stormers into the right areas on the park with varying amounts of success, while his distribution has also been largely hit-and-miss. He has been accused of running laterally too often and his long, looping passes have not really come off. Fleck does have other options. Damian Willemse played flyhalf for the majority of the 2018 season and has an undeniable x-factor that is sometimes wasted at fullback. Willemse is quicker than Du Plessis, has more flash and he has the potential to unlock defences with his silky hands and out-of-the-box distribution. Then there is the more mechanical Josh Stander, who is also on tour and had a stellar Currie Cup season with Western Province in 2018. Fleck, though, is a fan of Du Plessis and he has waited a long, long time to give him an extended run in the No 10 jersey. "We had to pay a bit of rent last year with Jean-Luc when he didn't play a lot of rugby and he started off slowly this season," Stormers assistant coach Dawie Snyman said from Australia on Monday ahead this weekend's clash against the Reds in Brisbane. "In the first game against the Hurricanes we had identified space and opportunities that we didn't take and this weekend against the Blues it was much better." On his outside, Du Plessis has Damian de Allende, who continues to bash away without impacting games in the way Bok coach Rassie Erasmus would hope for in a World Cup year. "I think those two as a combination are getting on nicely," said Snyman. "The combination between 10 and 12 to create width in our game is important." Based on those comments, it sounds like the Stormers will back both Du Plessis and De Allende against the Reds on Friday. On paper, it is a winnable game despite the fact that the Stormers will be without Etzebeth and Du Toit. For Du Plessis, it could be one final shot at pulling the strings and sparking the Stormers into try-scoring form. Despite their poor attacking return, the Stormers are actually quite well-placed in the competition. They have won three and lost three but have also completed their two matches in New Zealand. If they can secure wins against the Reds on Friday and then the Rebels in Melbourne next weekend, then the Stormers will be five out of eight with their tour completed and plenty of matches at home to come. Before any of that, though, they need to find a way to score tries. Former Sevens ace Seabelo Senatla has been flown over to Australia and could feature against the Reds, and that SOS is perhaps indicative of just how desperate Fleck is to ignite an attacking spark in his troops. "We know what we've got in Senatla in terms of his pace and his x-factor," Snyman said. "He has shown that playing for us before and also on the Sevens circuit so it's quite exciting if we can get a guy like him in space." Kick-off on Friday is at 11:00.